The Committee was briefed by the Department of Tourism on the Progress Report on the Undertakings made by the Minister of Tourism to the NCOP Plenary held on 17 May 2016. The plans around signage and installation dates around the installation of national heritage sites that depicted significant milestones in the life of the former President Nelson Mandela were reported on. Process issues like the approval of work permits, the construction of restaurants, digitisation processes and training tourist guides were outlined to the Committee. The Committee heard that with regard to the Robben Island Open Day – which is an initiative on Heritage Day that is supported by the Department - 1400 and 1528 less privileged South Africans gained free access to the RIM (Robben Island Museum) throughout the Open Day in September 2017 and September 2018 respectively. There was a new Tourism Charter Council which was tasked with developing transformative strategies, as well as monitoring and reporting on the state of transformation in the industry. Members complained about the lack of signage in the many different destinations and sights and asked if the municipalities or the Department was responsible for this. The Department was commended on how far it had come as the Committee noted that tourism had the potential to be South Africa’s next “pot of gold”. The Committee was made aware of the problems regarding training programmes in the Northern Cape Province as the retention rate there was low if not non-existent. Members were concerned about incubation and the lack of attention to the development of tourism in the Eastern Cape. Members asked what happened to youth that were trained by the Department in the Chef Development Programme and were pleased to hear that there was a reasonably high demand for chefs in the tourism sector. The Committee was briefed by the Minister of the Department of Public Works on its Petitions and Executive Undertakings. The Minister emphasised how committed the Department was to Parliamentary oversight as one of the cornerstones of democracy. A report on empty buildings near higher education institutions was provided to the Committee. Members heard that a draft MOU was developed regarding the development of accommodation for students at higher education institutions. There was a challenger here as a lot of funding was needed especially from the DHET. The added difficulty was that there were competing interests and all departments needed more money. Members heard that that there was currently a shortage of about 250000 beds within higher education accommodation. Fraud and corruption in relation to the Property Management Trade Entity and the Department of Public Works was a major concern to Members. The Special Investigations Unit has been a great help to the Department and had assisted in flagging 16 000 suspicious transactions. Surplus properties and plans for their use were outline to the Committee. Members expressed disappointment in the maintenance situation at the Walter Sisulu University (WSU) and that there was no regional official in the OR Tambo region in Mthatha. While the Department was commended for the distance travelled in developing their purpose and mandate, the Committee cautioned that there was still a long way to go with regard to the management of properties. Members thanked the Department for the building of the University of the Northern Cape and were alerted to the fact that this was entirely a DHET initiative. Mr Victor Tharage, Director-General (DG), Department of Tourism, said that the enhancement of the four iconic national heritage sites that depicted the significant milestones in the life of the former President Nelson Mandela was set to begin in 2016/17. The interpretative signage at Freedom Park will be completed by mid-June 2019 with eight installations still remaining. The interpretative signage at the Nelson Mandela Capture Site was completed in 2016/17. The interpretative signage at the Nelson Mandela Statue at the Union Buildings will be completed in March 2019 by the South African Heritage Resources Agency (SAHRA). The interpretative signage at Robben Island Museum (RIM) was completed in 2016/17. The interpretative signage at the Drakenstein Correctional Centre (Victor Verster Prison) was completed in December 2018. The permit for the work on the building at the Visitor Information Centre at RIM was approved 15 January 2019 and the service provider is expected to be approved by the end of March 2019. The construction of the restaurants is planned to commence in February 2016 subject to approval of the permit by SAHRA. The digitisation of the Mayibuye archives is expected to be completed by the end of March 2019. The training of tourist guides was completed in the 2015/16 financial year, with familiarisation trips being conducted in August 2017 for the 21 tourist guides visiting associated sites to RIM. The training of all tourist guides in other iconic sites is continuing. The Robben Island Open Day is an initiative on Heritage Day that is supported by the Department. 1400 and 1528 less privileged South Africans gained free access to RIM throughout the Open Day in September 2017 and September 2018 respectively. The RIM Mobile App was completed in 2017/18. With regard to the Craft/Memorabilia Centre, phase one of the training has been successfully completed. Phase two has started with displays of protypes at the Nelson Mandela Gateway to test the market at a designated retail space. Appointment of a service provider to provide further training is to be completed at the end of January 2019. The planning of retrofitting the RIM with Solar Photovoltaic (PV) Systems commenced in September 2016 and construction was completed at the end of September 2017. The project was launched on the 19th of October 2017. Mr Tharage said that he was tasked with developing transformative strategies as well as monitoring and reporting on the state of transformation in the industry. The Council is appointed for a period of three years (2016-2019 May). The Council has reported to the Portfolio Committee (PC) on Tourism on its progress twice. The role of the tourism’s Broad-Based Black Economic Empowerment (B-BBEE) Charter Council is as follows: to provide guidance on sector specific matters affecting B-BBEE in the tourism sector, compile reports on the status of B-BBEE within the sector and share information with sector members, the Minister of Tourism approved accreditation agencies, the B-BBEE Commission, the B-BBEE Presidential Advisory Council and the Minister of Trade and Industry. A transformation strategy to transform the sector beyond the targets set under the codes gazetted in November 2015 was developed in 2018 in consultation with each province. The new Tourism Charter Council was also tasked with developing transformative strategies, as well as monitoring and reporting on the state of transformation in the industry. In terms of the guidelines for the commercialisation of state-owned enterprises and concessions, the Department also set out to promote access to selected government owned attractions through negotiated discounts, and one of these projects was the social tourism programme. The Department is working on updating the list of government owned attractions. The Domestic Tourism Scheme will be implemented in partnerships with emerging Tour Operators. It is considered a useful tool to negotiate, promote and discount these government owned attractions. There are four social tourism initiatives facilitated that promote open access to selected government owned attractions. The OR Tambo Youth Exchange programme saw 200 youth from Ekurhuleni being taken to Mbizana. The youth from Mbizana went to Wattville in line with the celebrations of OR Tambo. Two tour operators owned by women were utilised for both tours. The Youth South African School Football Association partnership tourism day saw 500 youth being taken on tours, visiting key sites in the towns where they were playing football tournaments. The Department is looking to expand this arrangement to include Netball South Africa (SA). The Department also worked with Deaf SA to take 30 school children on a trip to Table Mountain. Working together with South Africa Tourism, the Department did an awareness campaign called “Gogos on Tour”, by taking elderly people of age 60 and above on a tour of “firsts” (‘firsts’ is a term used by the Department for township tourism). The new Tourism Charter Council was developed and all provinces were consulted. This is to be completed by the end of March 2019. With regard to management control, the Executive Development Programme for Women in Tourism is continuing in the next financial year of 2019/20. The last intake will be from February 2019 to December 2019. Some of the ongoing projects in the 2019/20 financial year include the National Youth Chef Training Programme, hospitability Youth Training, Food Safety Assurers, the Energy Resource Efficiency Programme, Tourism Monitors and the National Tourism Expo. There is also the implementation of an enterprise development programme focusing on incubation and business support services. This project is taking place in the current financial year. Ms G Oliphant (ANC) said that there is poor signage in many different destinations and sites, and she was not sure whether it is the Department or the different municipalities who are responsible for the signage. The signage is not complete and important information on some of the signs is missing. The Department needs to put emphasis on the signage, especially those in and around the Free State area. Ms Shamilla Chettiar, DDG: Destination Development replied that Directional signage does not fall under the Department, but rather falls under many authorities such as the different municipalities, provincial government, as well and SANRAL. Where the Department comes in, in terms of signage, is when there is a tourist destination close by. The Department deals with interpretative signage and not directional signage. Dr H Mateme (ANC) commended the Department on how far it had come. She noted that tourism has the potential to be South Africa’s next “pot of gold”. Many jobs are being created through tourism and the Department has the potential to absorb youth unemployment. 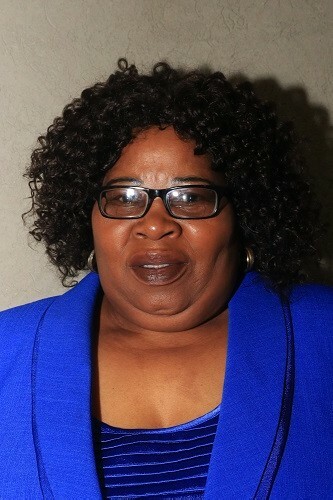 She noted that there needs to be a hotel built near the Polokwane airport, as it is the only major city that does not have a hotel near its airport. Mr Tharage said that the opportunities that are coming from the various training programmes happened throughout the country. They did however have problems with the Northern Cape. In this province, the youth tended to dropout midway in the programme to a point where there is nobody left in the programme. The Department has had to close one of the programmes because of this problem. Ms T Wana (ANC) stated that in terms of incubation, her province the Eastern Cape was not mentioned and that is quiet concerning. There needs to be transformation and if there is transformation already in place then it needed to be monitored closely. In her opinion, the Eastern Cape is not included in the development of tourism in the country and this needed to be changed. Ms Chettiar spoke on the area of coastal and marine tourism as this was directly related to the question asked by the Honourable Wana. It is a resent piece of work, that happens in the four coastal provinces, namely the Northern Cape, the Eastern Cape, the Western Cape and KwaZulu-Natal. The Department has mapped all of the tourism assets that exist in those provinces and they also mapped the connectivity. They have also mapped what they have identified as gaps that existed in those spaces. In the Eastern Cape, the Department together with the provincial and local government mapped a masterplan in the Wild Coast region. This masterplan will consist of comprehensive tourist development as well as the entire support infrastructure such as telecommunications, permits and roads. The Department has a broad and extensive development plan that looks at enhancing the tourism infrastructure as well as planning for where infrastructure does not exist. In terms of the incubators Mr Tharage said that the assessment is that it would not be financially sustainable to have incubators across the country. The Department has chosen to have a centralised support system and have opted to send support to the various areas if and when needed. Ms Wana asked what happens to the youth that are trained by the Department. Are they placed in employment and is monitoring being conducted? Mr Tharage responded by using the Chef Training Programme as an example and stated that the Department works with hotels to facilitate the training of the youth chefs but upon completion of the programme, job availability is dependent on the labour market. The Department does however express satisfaction with the absorption rate of he chefs trained through the youth programme. This means that there is a demand for chefs within the tourism sector. They also promote entrepreneurship amongst the chefs that have gone through the programme. The Honourable Thulas Nxesi, Minister of Public Works, started off by stating how seriously the Department (DPW) takes the role of Parliamentary oversight and noted that it as one of the cornerstones of democracy. Proceeding straight to the subject matter, a list of empty buildings near higher education institutions was listed and this was in response to the enquiry made in 2016. A joint task team of the DPW as well as the Department of Higher Education and Training (DHET) was put in place. A draft MOU was developed and this development needed a lot of funding especially from the DHET. This was difficult as there were competing interests and all departments needed more money. The Minister said that there is currently a shortage of about 250000 beds within higher education accommodation and that is not a problem that can be solved within a short space of time. Some of the solutions developed included a letting-out legal framework which has been developed with the National Treasury. This framework seeks to empower black women, youth and people with disabilities. The DPW also wants to promote the localisation of suppliers. The first batch of the properties will be advertised on an open tender this month February 2019. With regard to the issues surrounding security and maintenance, the strategy is two-fold: to identify properties for letting out, and the development and implementation of a planned maintenance strategy. The Minister said that there is also serious consideration around the selling of some of the properties because they cannot manage all of them as some have become liabilities. The DPW however, needs to be careful not to sell properties that they might need later down the line. The bigger picture in relation to the DPW and the Property Management Trade Entity included two pillars which were zero tolerance of fraud and corruption and improving the way business is done. In 2018, the Department implemented recommendations from the Special Investigations Unit (SIU). The SIU mandate was extended and they were currently investigating emergency day-to-day maintenance after the Department’s internal investigation unit flagged 16000 suspicious transactions. The Public Service Commission is also helping the Department to investigate irregular appointments. Mr Dhaya Govender, Deputy Director-General: Real Estate Management Services (REMS) discussed the deployment of vacant land and buildings in the provision of student accommodation. The Property Management Trading Entity (PMTE) business model has three key businesses which are real estate investment, real estate management and facilities management. REMS operates under three key areas namely acquisitions and leasing-in, state owned and disposals and letting-out, and property administration and payments. The DPW accounts for R10.311 billion worth of income from these properties as well as expenditure worth R 7.1 billion. Payments to landlords worth R4.5 Billion, account for the majority of the expenditure. Currently, there have been 5720 surplus properties which have been identified. These have been categorised in order to attract investors and to ensure utilisation. The categories are as follows: vacant land/farms, office, residential and airstrip. REM is instituting systems and measures to identify Bona Vacantia properties. The first phase of the project mentioned earlier by the Minister in relation to university accommodation in partnership with the DHET, has been identified as compromising of 12 institutions situated on 66 campuses. So far, an interdepartmental task team has been established and a drafted MOU was finalised and signed by the DPW which identified properties in areas where the DHET indicated a need for student accommodation. A list of the properties was handed over to the DHET for consideration. There have been some delays caused by the change in administration in the DPW and the DHET as well as focus shifting towards the transfer of land for human development, developing forest villages and rural development. Some of the methods to address student accommodation include: state intervention, technical capacity and private sector investment. The desired impact is that of safe, secure, affordable and functional accommodation for students, revenue generation through letting out, and securing vacant surplus state owned properties. The PMTE will also provide opportunities for letting some of the vacant properties to the public and private sectors in particular, availing properties to emerging black and female entrepreneurs. After reviewing 48 of the leases, the DPW was able to increase their revenue by R17 960 186, 30. A list of surplus properties has been finalised for letting out. The Department is in the final stage of internal and final approval of the Disposal Framework with the DG and the National Treasury (NT) respectively, and provincial workshops have been conducted to prepare for the advertising of surplus property. The Department is in discussion with the Provincial Department of Public Works to determine the process it followed in approving a permanent disposal process for surplus residential properties. The Minister said that Step one of the evaluation process is the administrative compliance evaluation and to eliminate non-responsive proposals. Step two is the credit, risk and affordability assessment step. It also looks to eliminate proposals with a very poor rating and the RAC reserves the right to investigate further those proposals which are rated as fair. The third step involves evaluating financial, investment and transformation proposals. Evaluation is score board based and the tenant/investor with the highest total score is recommended to RAC. Ms Nyeleti Makhubela, Deputy Director-General: Facilities Management said that the maintenance strategy starts off with an analysis of the problems the portfolio is facing. The challenges undermining adequate maintenance include budget allocations being inadequate, failure to institutionalise technical competence as well as the lack of asset management plans and accountability where it exists. The structural weaknesses affecting the portfolio include, among many, the ageing portfolio and high maintenance backlog. The mode of delivery is reactive or through emergency maintenance where relief is only provided after the failure occurs. In response, corrective maintenance is initiated through the procurement of services from external sources. The process includes a detailed overview of the operational and capital expenditure patterns that were completed showing development areas and operational inefficiencies that were contained in the value chain of maintenance execution. The pilot studies were concluded and are now currently being developed into a comprehensive maintenance strategy in alignment with the National Infrastructure Maintenance Strategy (NIMS). Short term interventions include Occupational Health and Safety (OHS) interventions which involve OHS dispensation to develop proper protocols and frameworks with the Department of Labour (DoL) and Local municipalities, the digitisation of compliance certificates, the reform of maintenance contracts and capital. The desired impact is to improve the condition of the portfolio to enable client departments to better discharge their service delivery mandates, improve OHS compliance on all facilities, mitigate the risk of shutdown of key facilities without any prior knowledge and improve asset life cycle management. The Minister added that from the presentation given it is evident that the DPW is a very technical Department yet 80% of their staff is not technically trained. This is the biggest threat that the Department is facing. Mr Jeremy Cronin, Deputy Minister, DPW emphasised the importance of knowing what the asset basis is, because without knowing this, the Department will not have a map of what needs to be done. An immovable asset register was developed to help understand what it is that the Department has. This register showed that the Department is sitting on about 90000 buildings which include Parliament, the Union Buildings, police stations and so on. This process has allowed for the Department to now know things like what is inside the buildings and the conditions of these buildings. In order to manage this there needs to be a dedicated asset management team. Ms Wana expressed disappointment in the maintenance at the Walter Sisulu University (WSU) and felt that the situation was pathetic. The situation has to be corrected if there are problems. Ms Wana noted that there is a lot of centralisation in the Department. In the OR Tambo region in Mthatha there is no regional official. There also needs to be clarification on the constitutional mandate of the Property Management Trading Entity. It seems that this entity is a Department within a Department. The piping issue in Wellington is still not being attended to by the Department. On paper there seems to be a plan, but when it comes to the actual groundwork nothing is being done. Dr Mateme commended the Department especially for investigating their purpose and mandate. The Department, however, still has a long way to go especially with regard to managing their properties as there are probably properties that are still not on the register. Ms Oliphant thanked the Minister for the University in the Northern Cape - which is still being built - as previously there has not been one. The Members’ Provincial Legislature facilities are not up to standard. In the Northern Cape the safety of the MECs is prioritised over the safety of the Provincial Legislature. The Minister stated that the Ministry of the DHET should be congratulated for the building of the University in the Northern Cape as this was their project. In Mthatha there is a regional office and they are very present. The buildings mentioned by the Honourable Member belong to the province and do not belong to the Department. They are housing the provincial staff in the Eastern Cape. There is also a lack of a good work ethic within the public sector and if anything is to change and improve, there needs to be a working culture introduced in the public sector. Mr Cronin agrees that many public service sectors lack a work ethic and discipline. There needs to be a way to get the public to become co-producers, noting the public frustration with government, and understanding why the public feels this way. This will prevent the country from becoming a wheelbarrow state where the government produces and just dumps things onto the public whether adequate or not which could often lead to a revolt from the public. Mr Govender stated that they are moving towards a self-sustaining Property Management Trading Entity, so as to not rely too heavily on the government.